Large, round cases paired with black dials is a predominant configuration in modern watchmaking. Popular, too, is the color combination of black and yellow, partly for its verisimilitude in nature, but also for its sharp contrast of dark and bright. Put these elements together and you have a mold for a cool, contemporary sport watch, which is exactly what Viceroy means to achieve with its model number 46503-25. The large 46.5 mm stainless steel case and thick lugs are well proportioned with no extraneous flourishes. The fluted crown is the only protrusion. A black ion-plated stainless steel bezel overlays the polished case and looks like a ship’s porthole. The bezel design features eight screws – two in each quadrant where the lugs meet the case – which have the appearance of porthole rivets. Such nautical, aquatic sensibilities extend to other aspects of the watch, as well: the only other writing on the dial other than the Viceroy logo is the simple text at 6 o’clock that reads “Water Resistant 100M” and while not a dive watch, the continuity of the theme is apparent. Oversize Arabic hour numerals and bar markers are also characteristic of a dive watch: they are easy to see underwater, especially with the contrast provided by the yellow on black elements. The surface of the dial is divided by concentric rings; a circle in the middle is surrounded by smooth rings and then by engraved rings below the hour markers. The solid yellow seconds hand tapers at the top while the hour and minute hands are obelisk-shaped, tapered and pointed at the top. A white 60-seconds and minutes track rounds the outside of the dial. The date window is partially open, a current fashion, with five digits on the wheel visible at one time. A yellow arrow beside the window points to the current date. 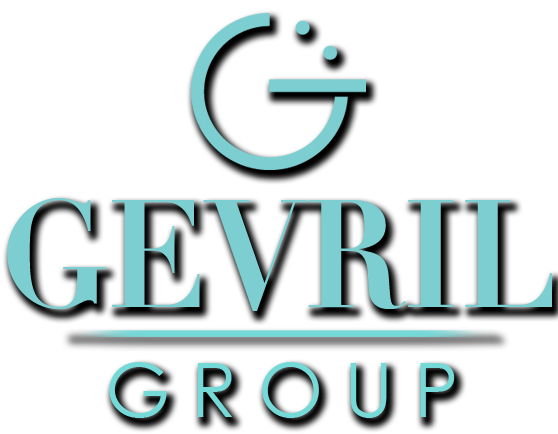 The lugs are wide, slightly rounded and solid in appearance. The lug width is 24 mm, which supports a wider strap that is an appropriate match given the substantial case size. The black leather calfskin strap with yellow parallel-stitch pattern completes the unified overall look. The tang buckle is made of stainless steel, as is the solid caseback. 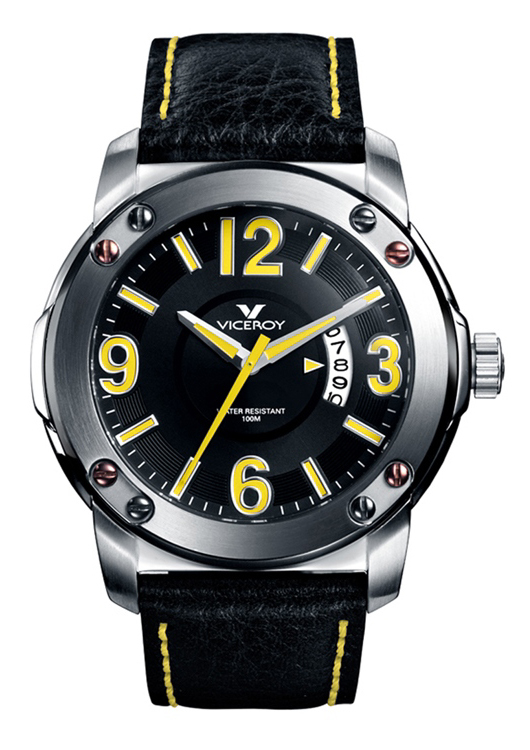 As the dial declares, the Viceroy Men’s 46503-25 Watch is water resistant to 100 meters, or 330 feet. Inside, a quartz movement propels the time-and-date functions. Given this watch’s size and use of a bright color, the overall tone is tasteful and confident in its restraint, a feeling influenced greatly by the muted dark bezel. This Viceroy watch has balanced visual appeal in a bold casual form – a fine result in sport-watch design. Add one to your timepiece collection today. 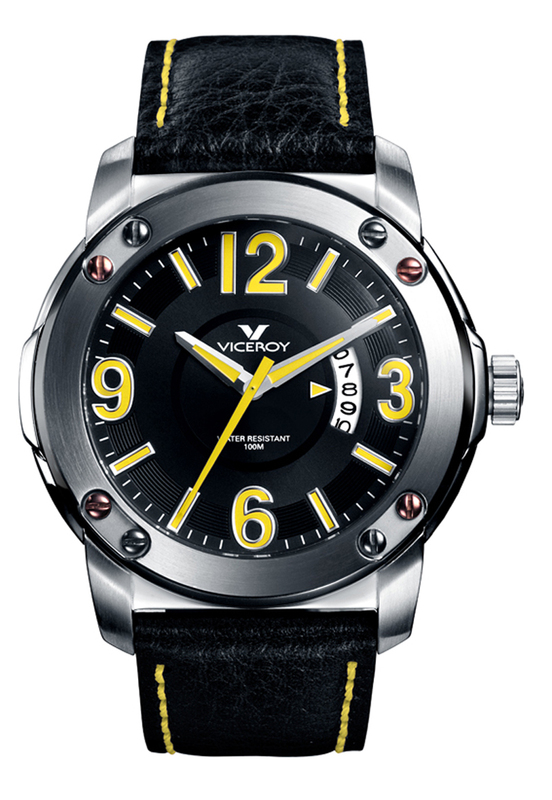 Purchase your new Viceroy watch from an authorized Viceroy dealer.